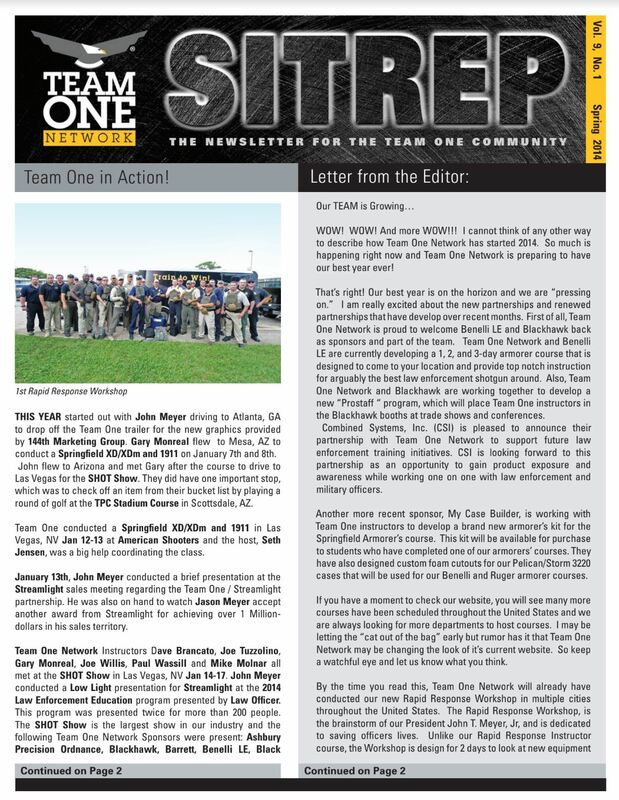 situation report — A report giving the situation in the area of a reporting unit or formation. 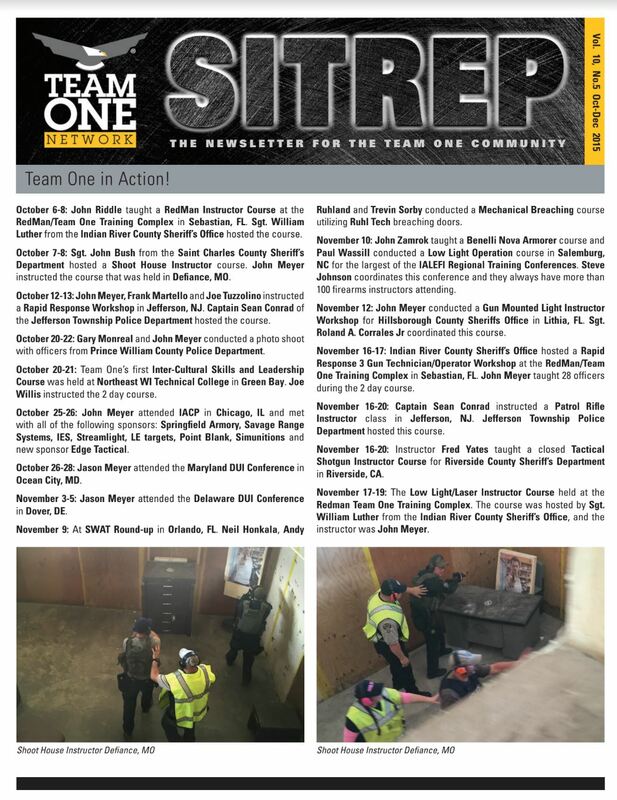 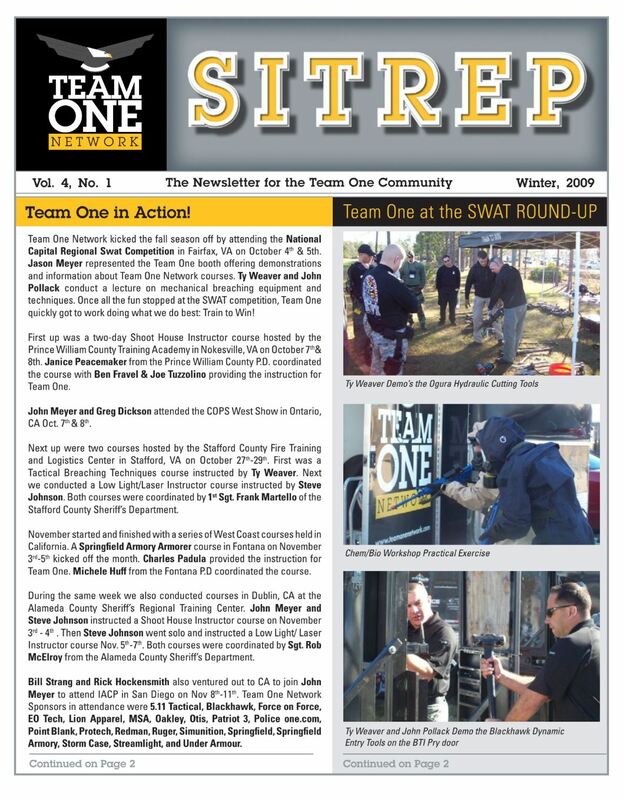 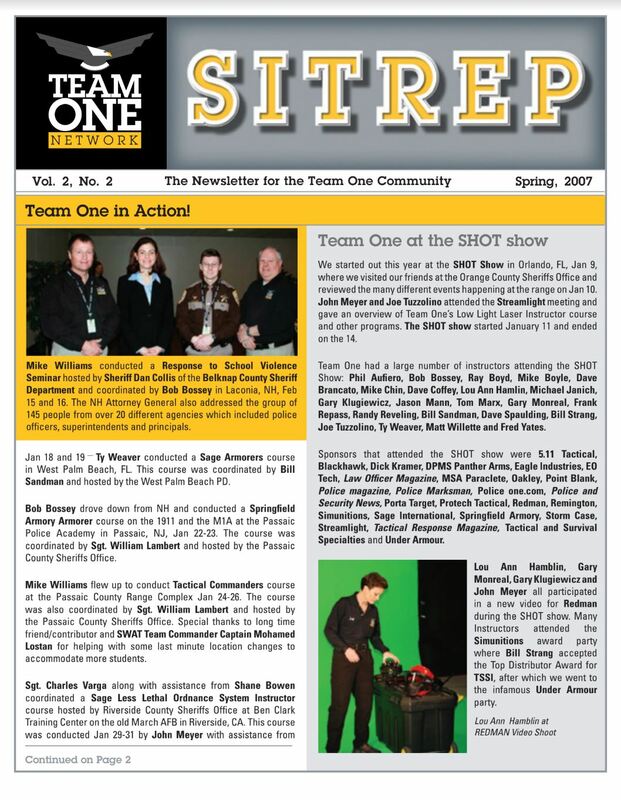 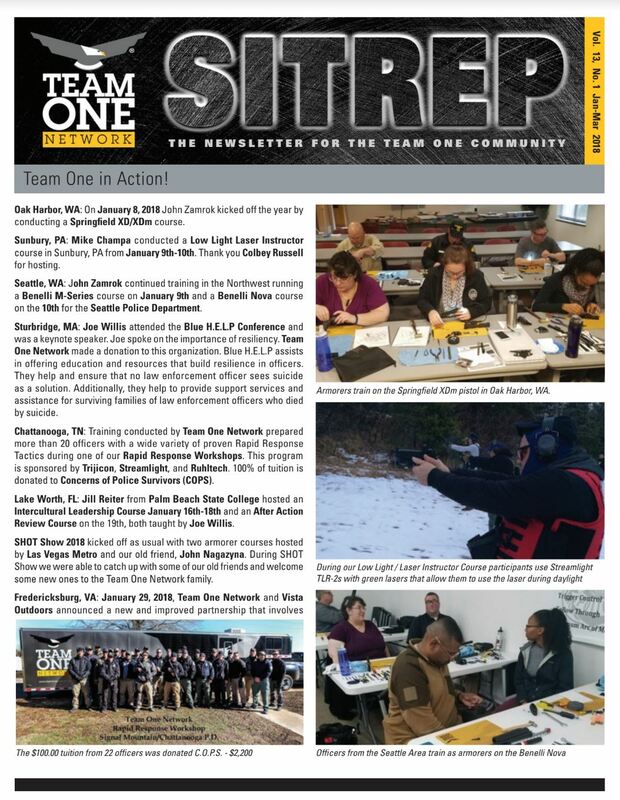 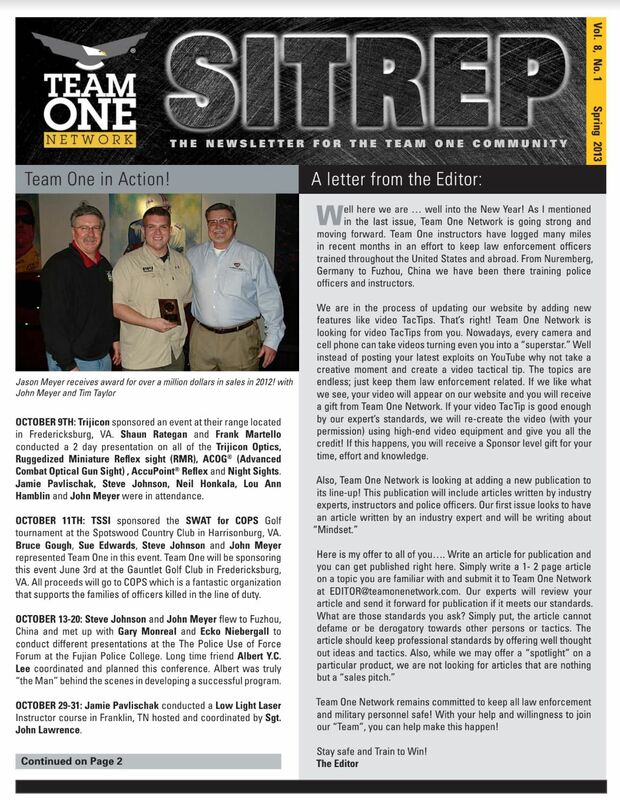 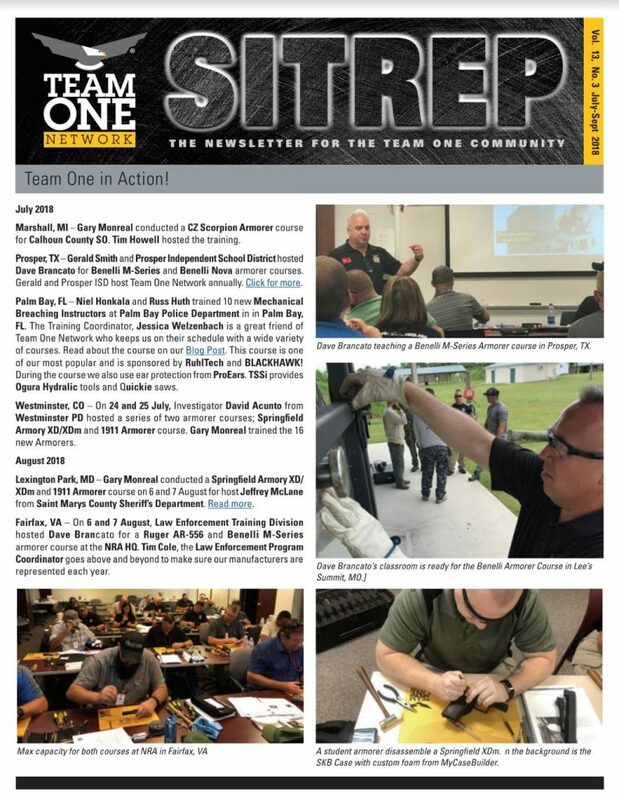 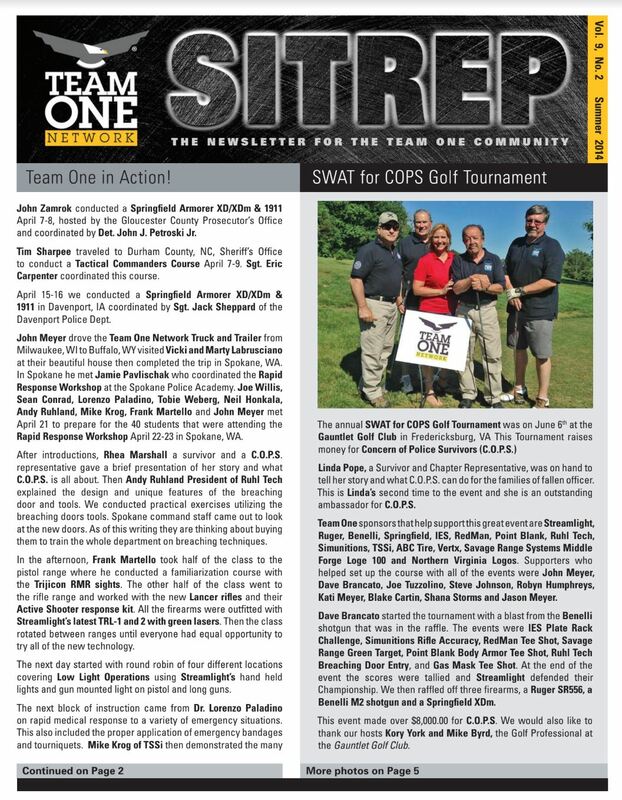 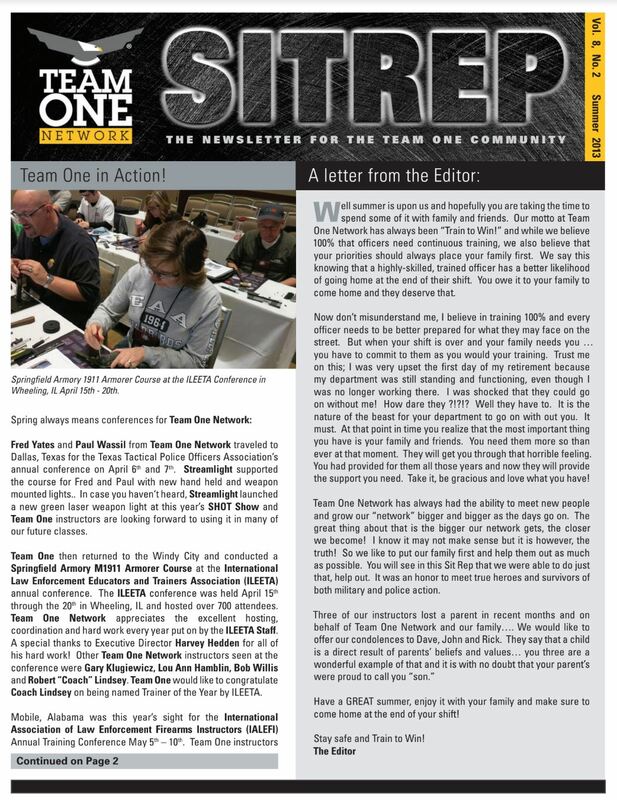 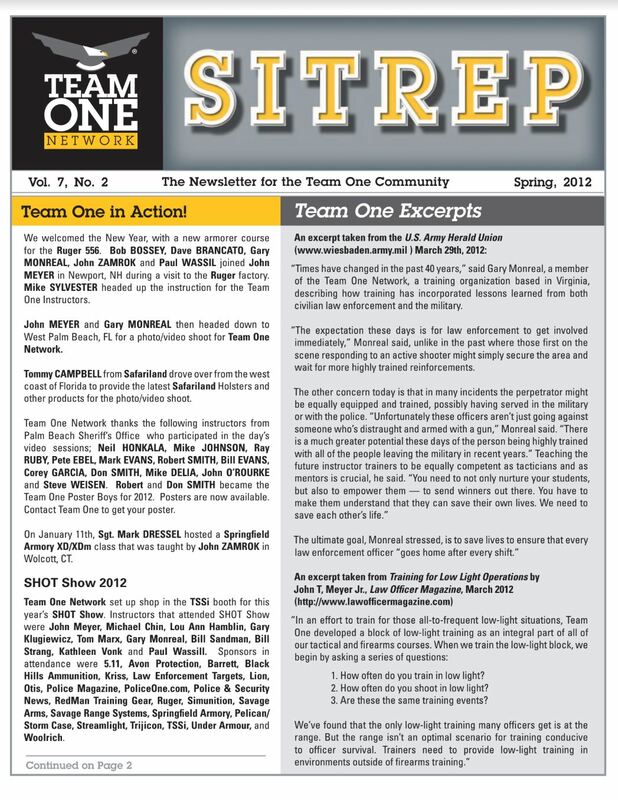 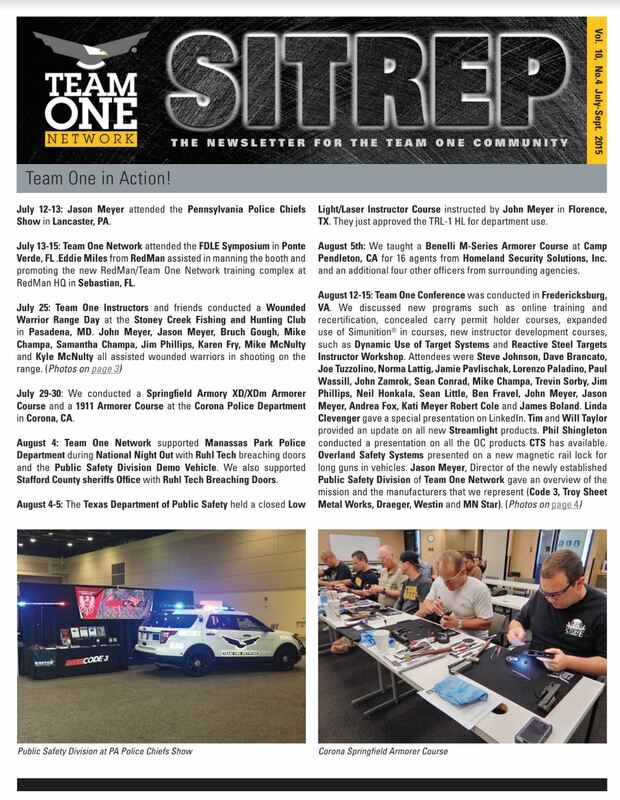 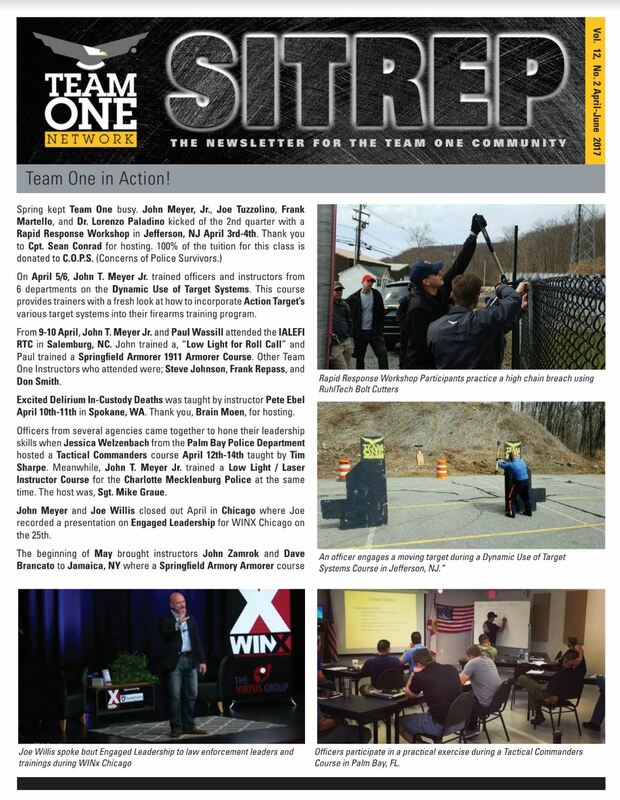 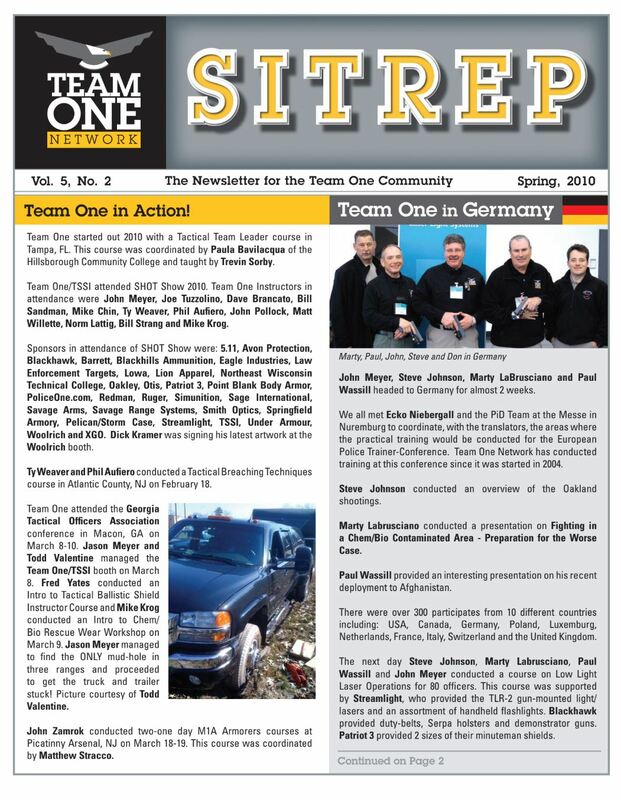 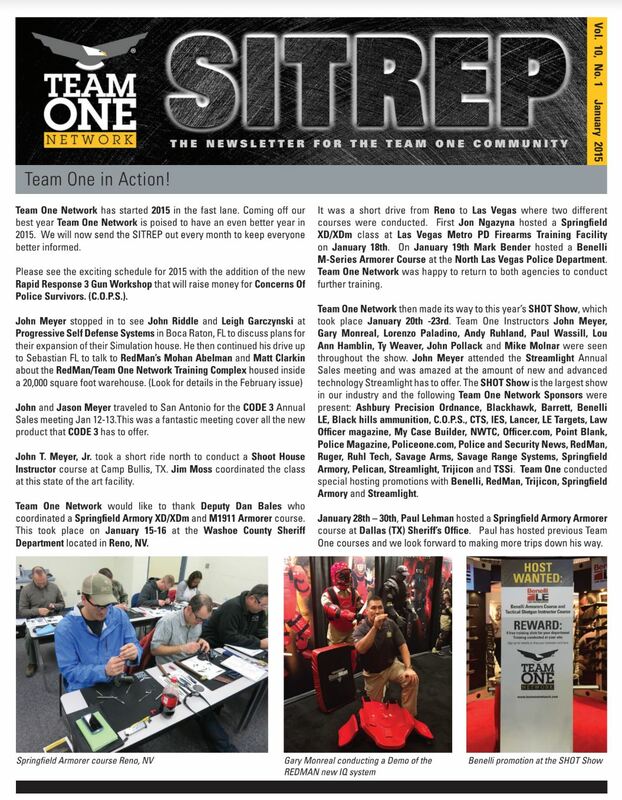 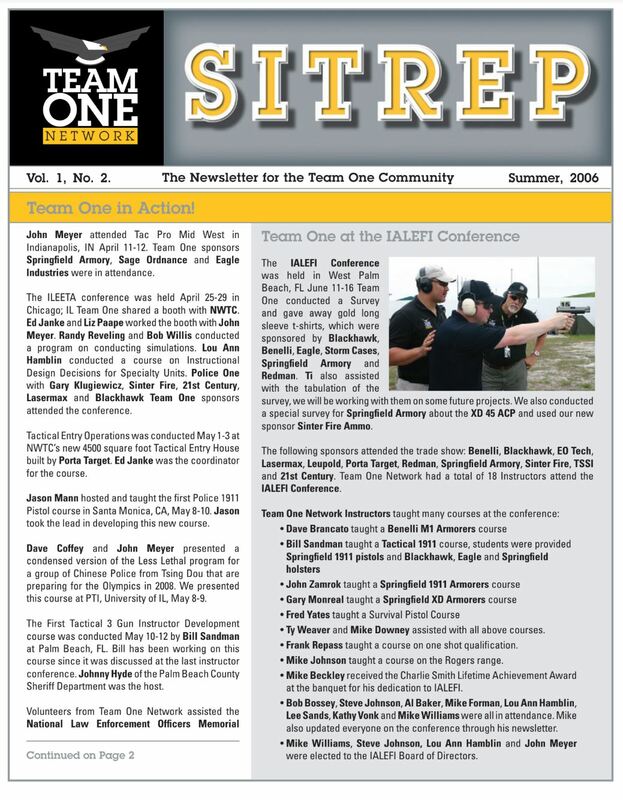 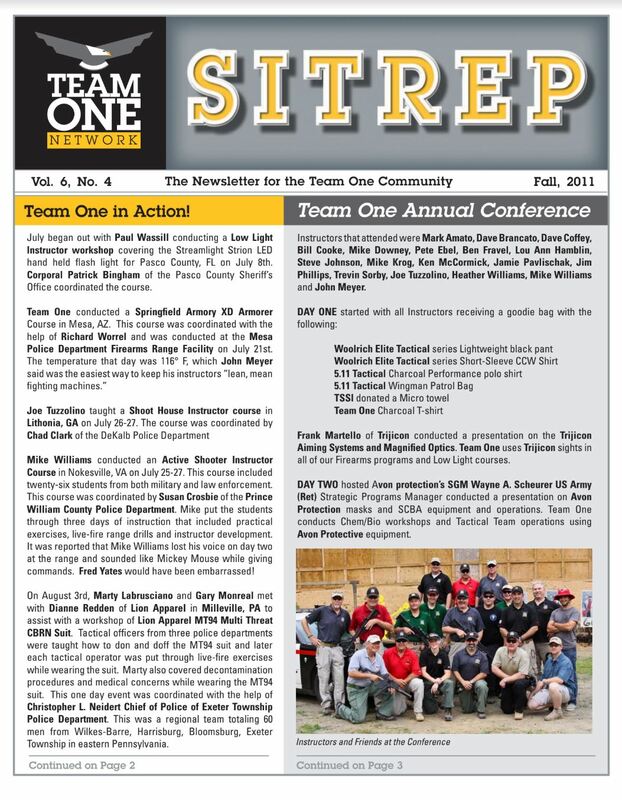 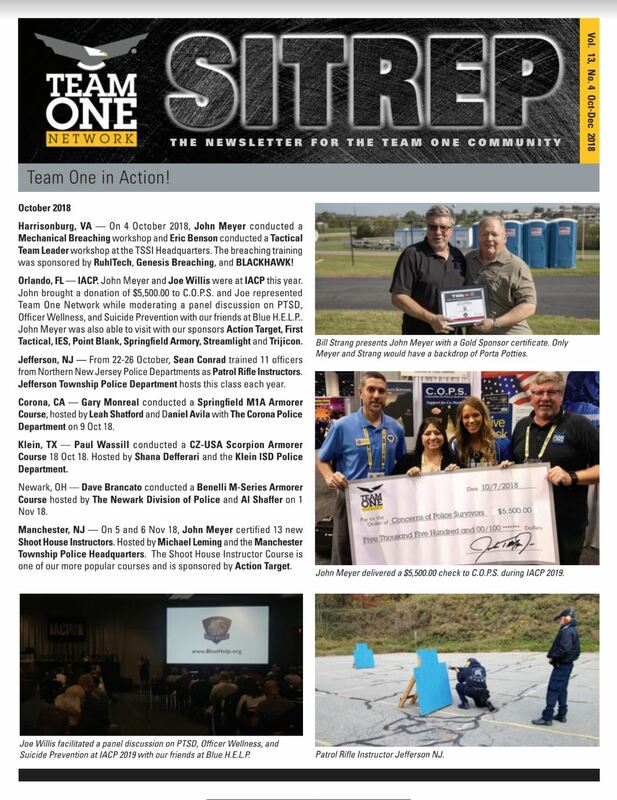 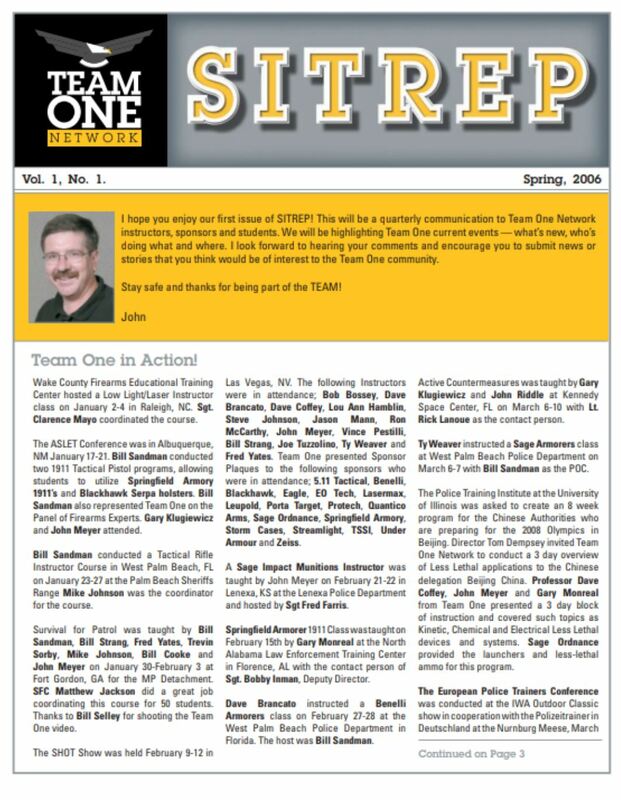 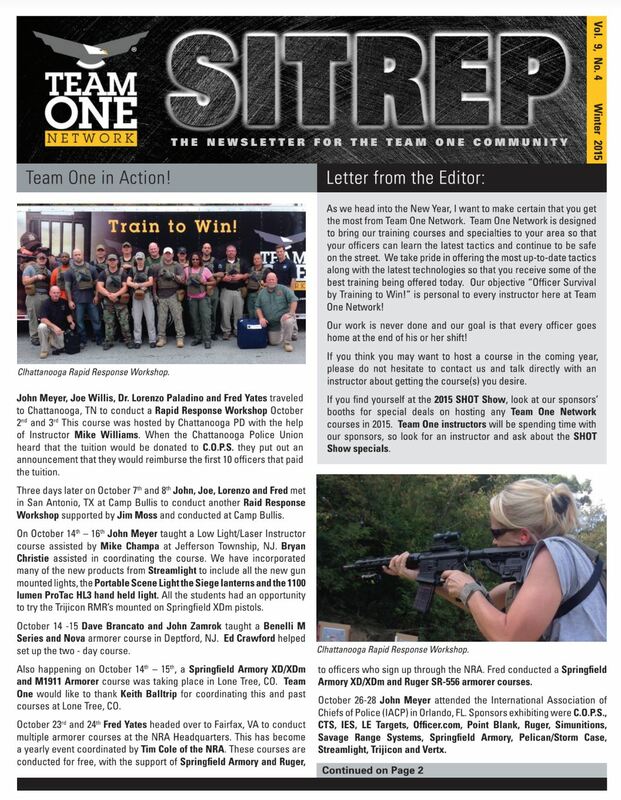 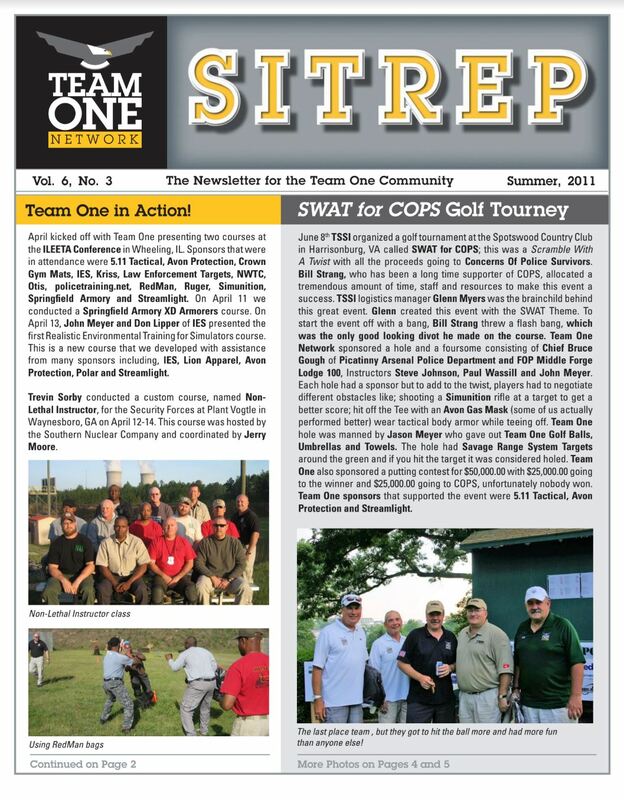 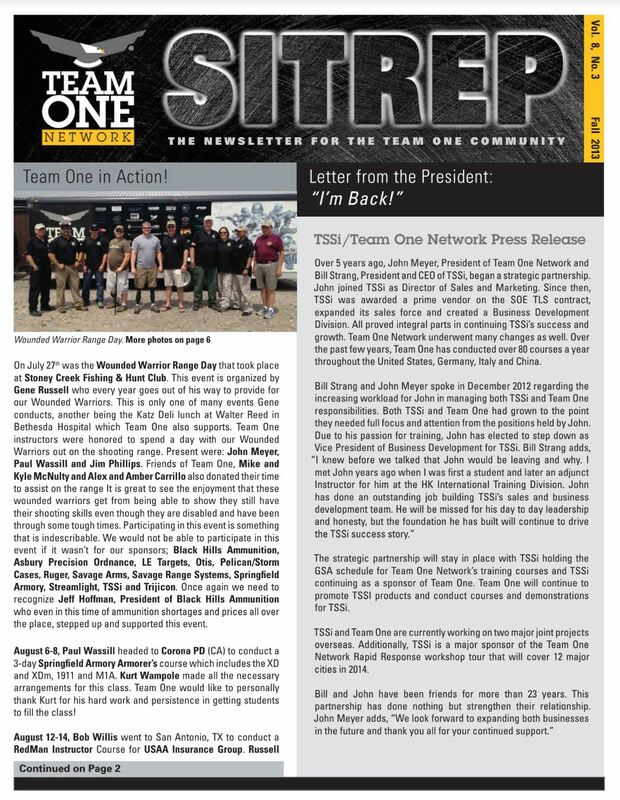 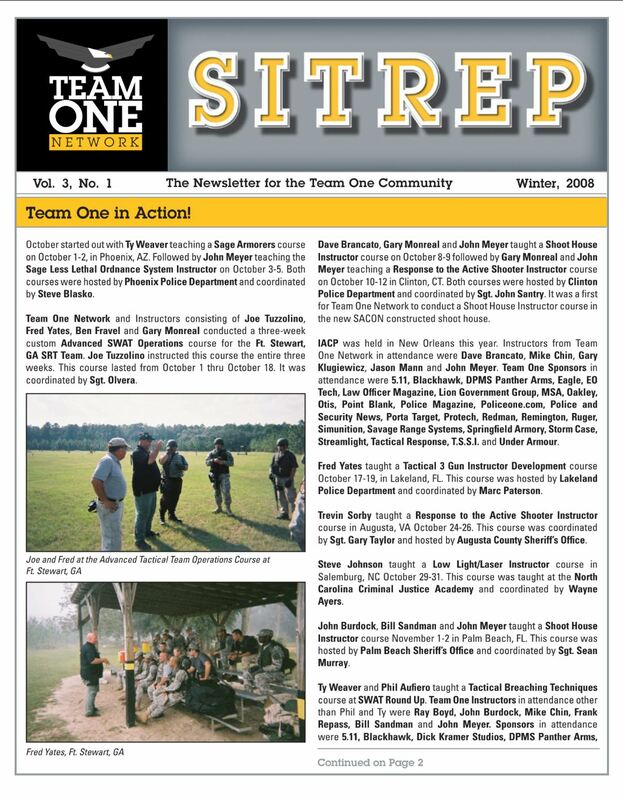 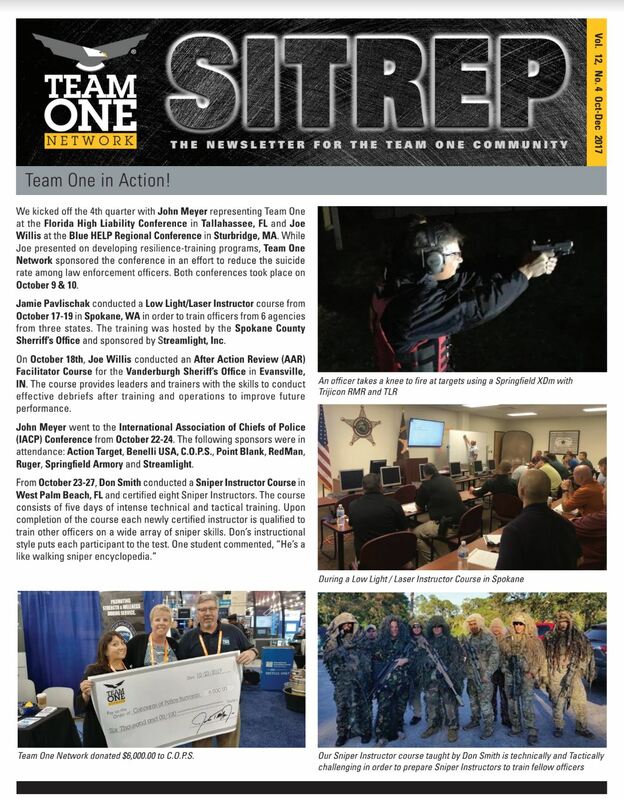 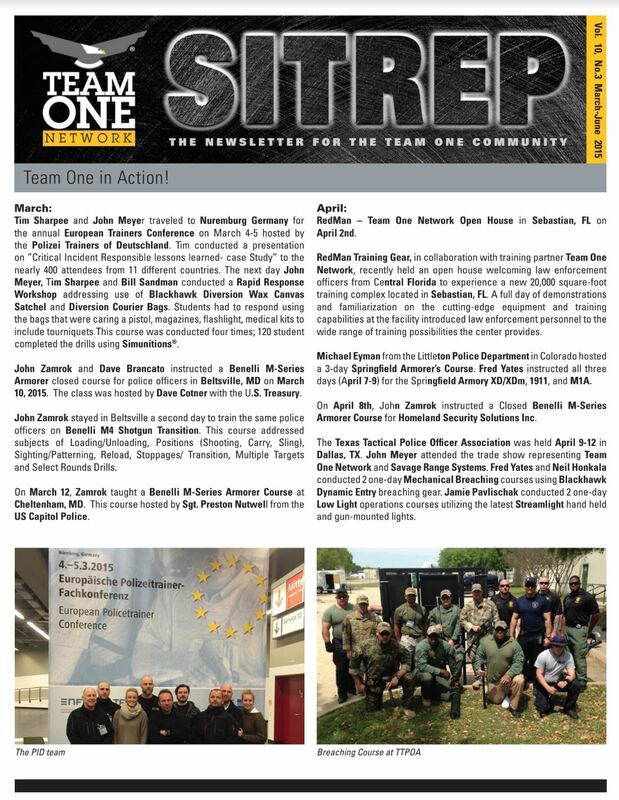 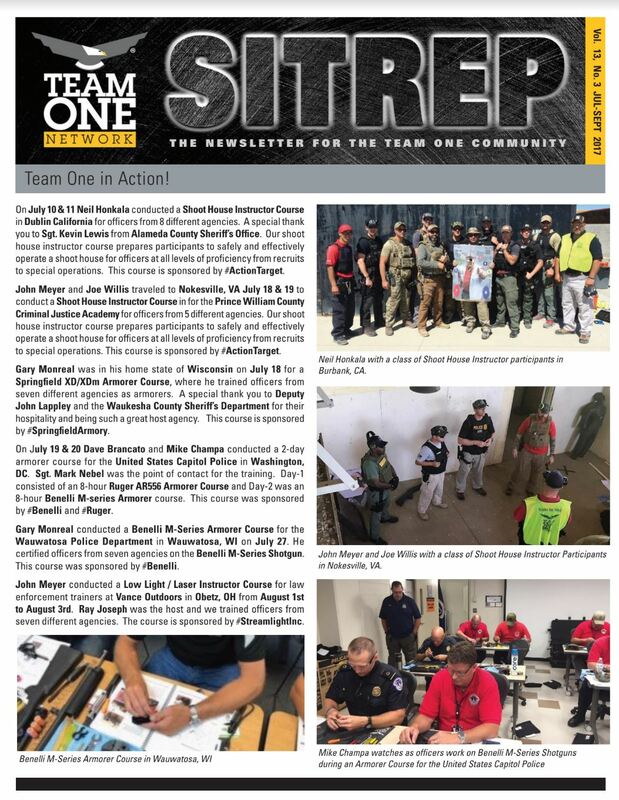 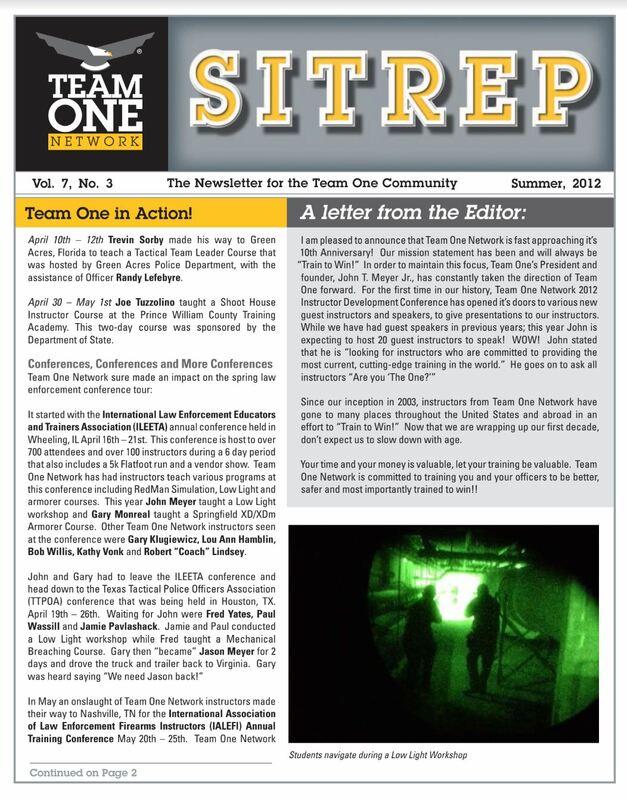 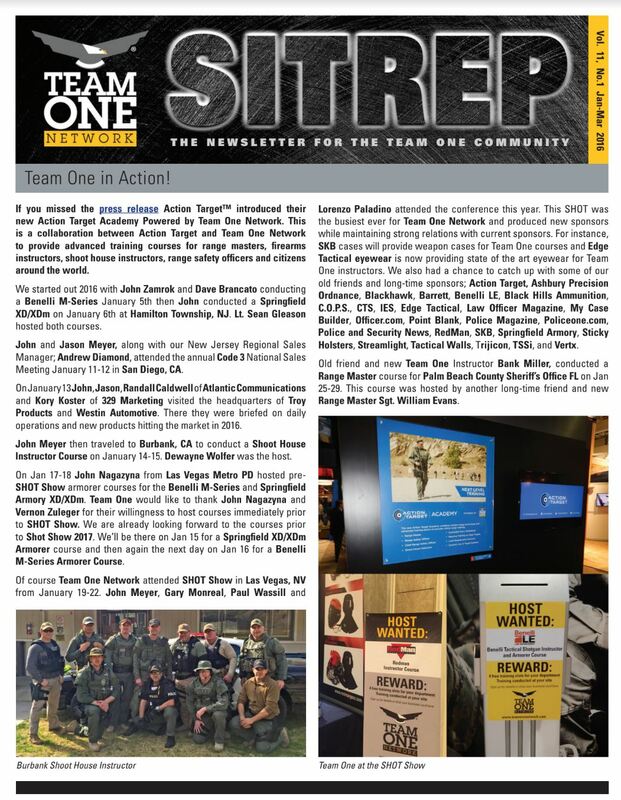 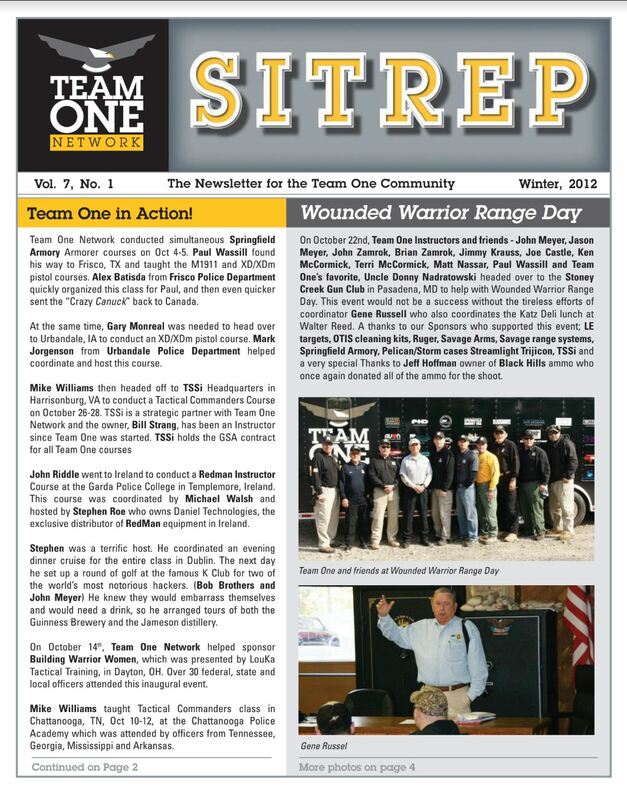 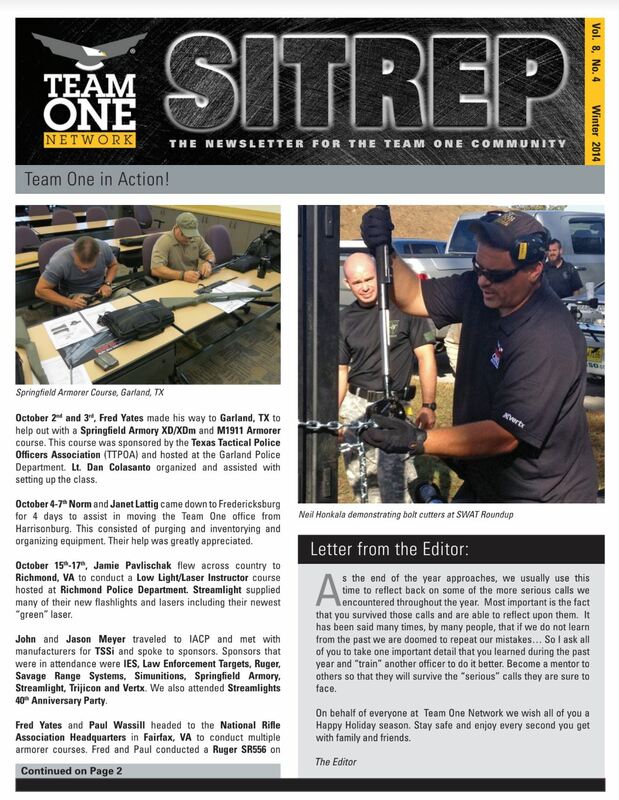 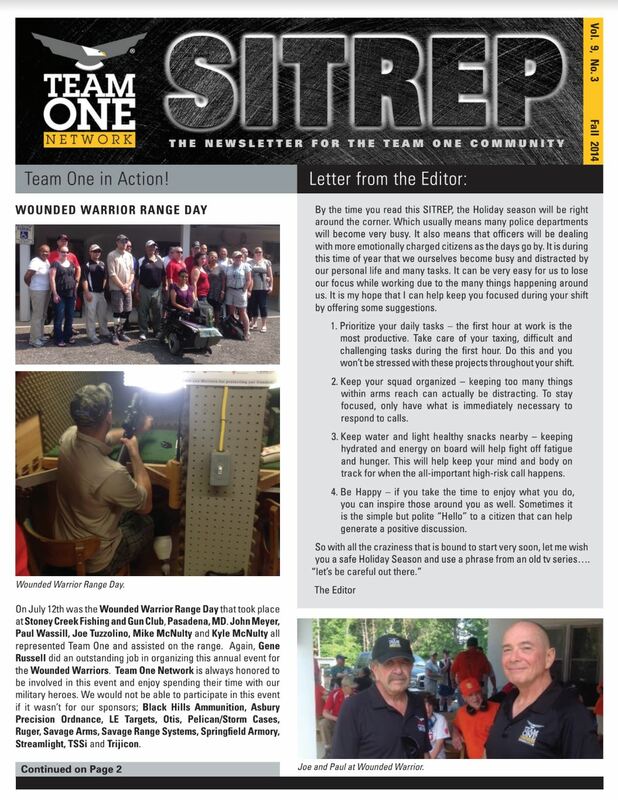 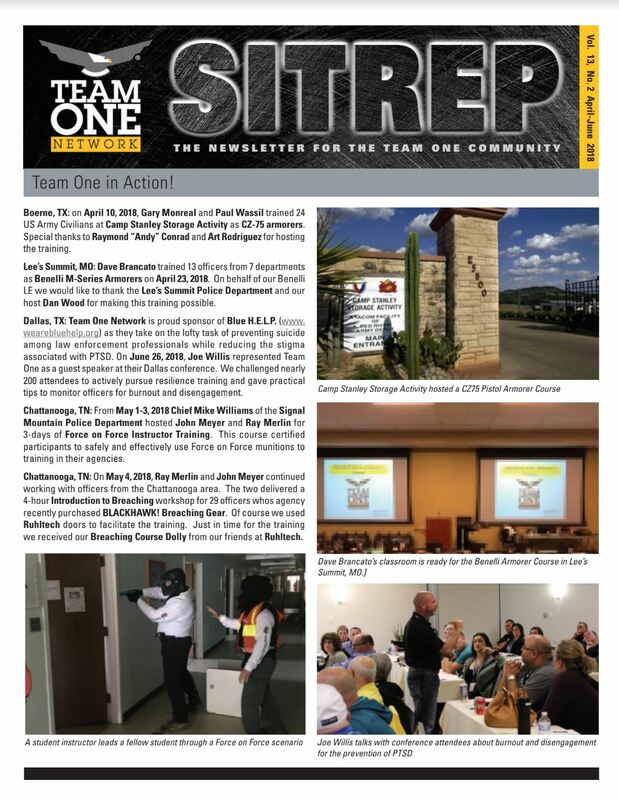 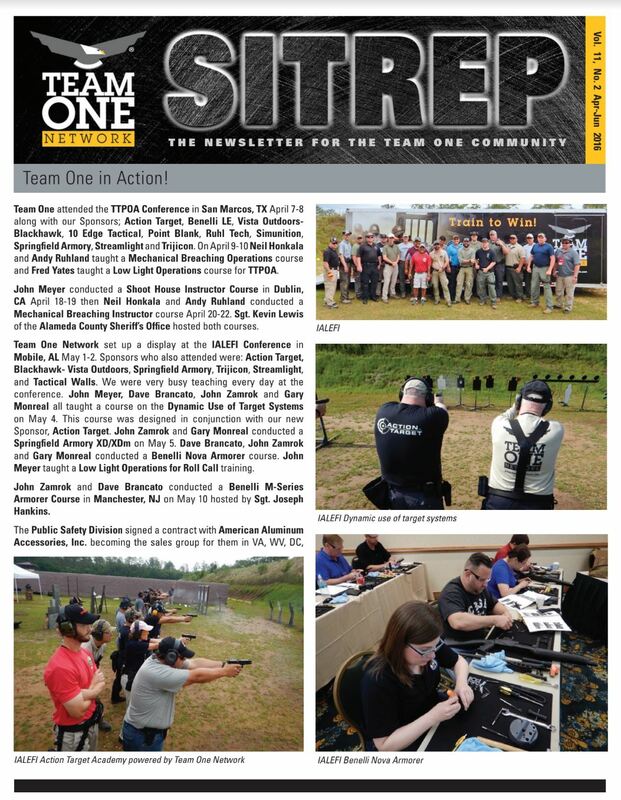 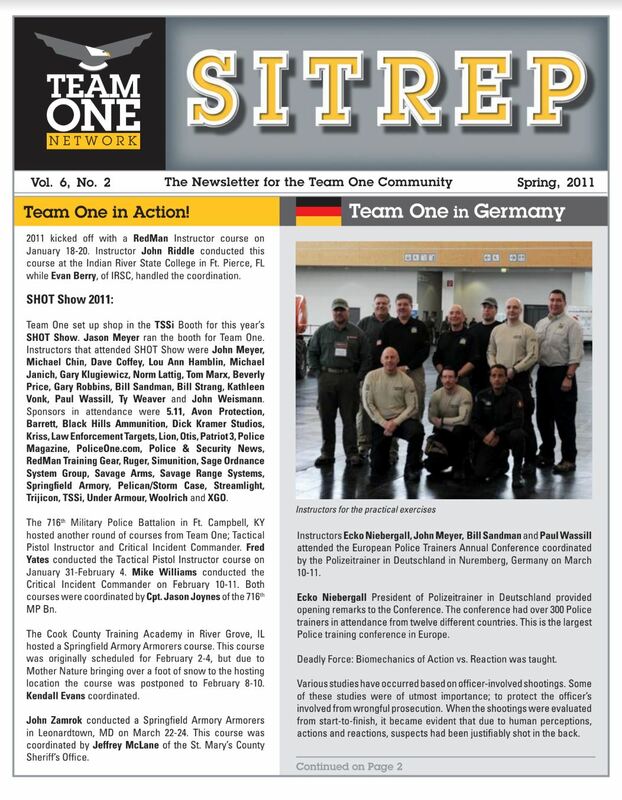 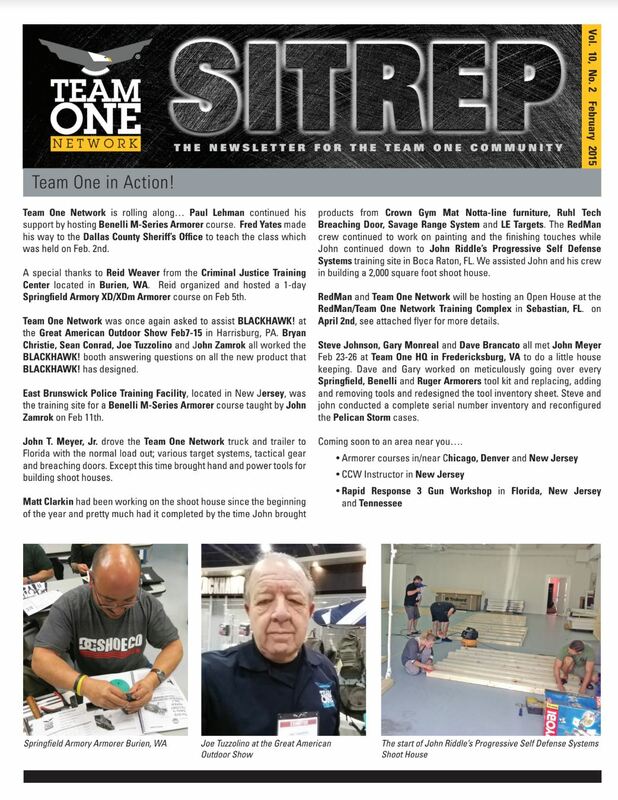 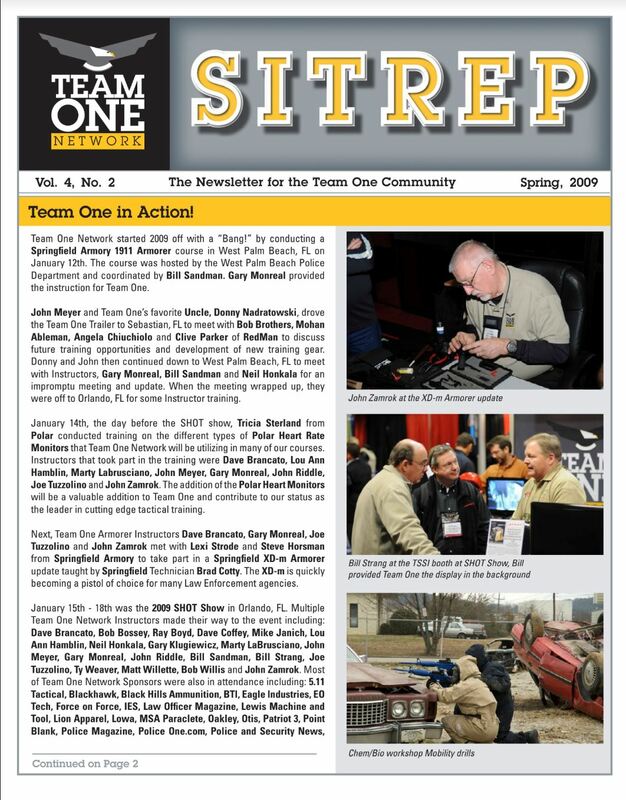 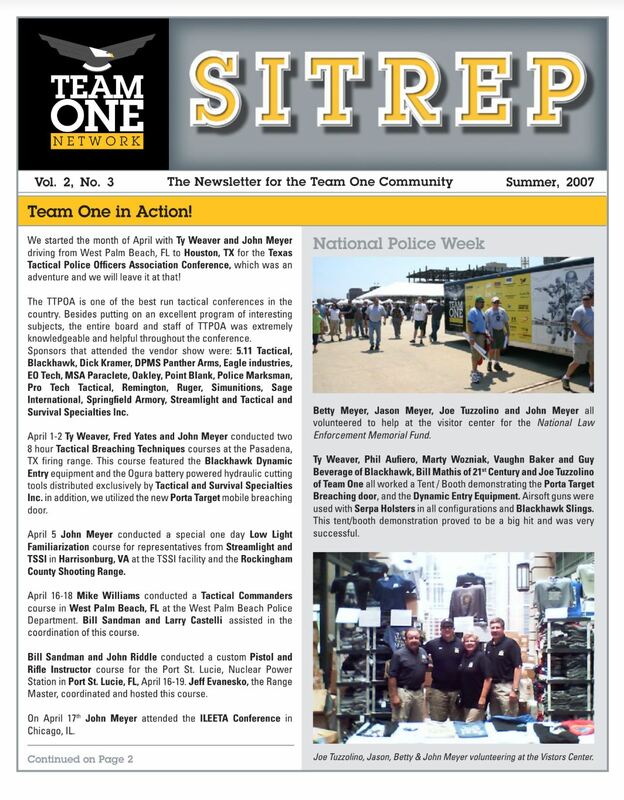 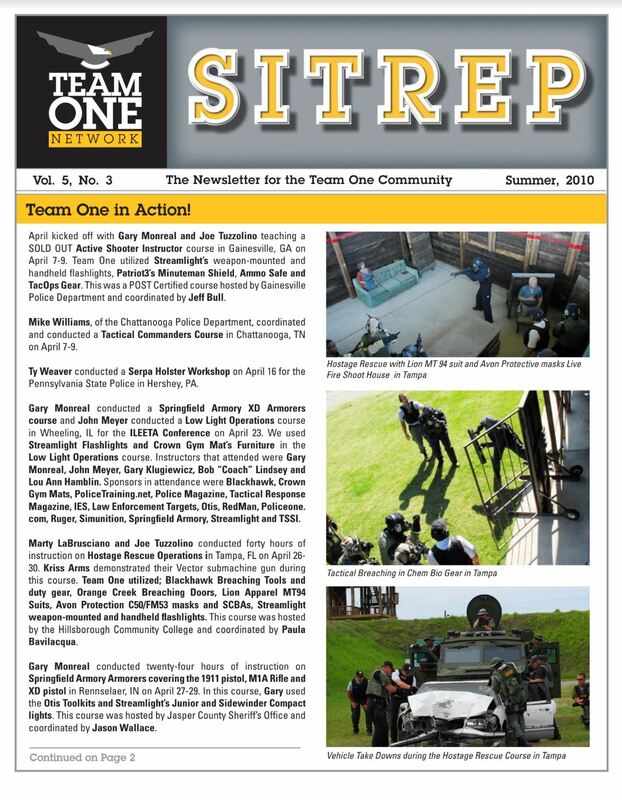 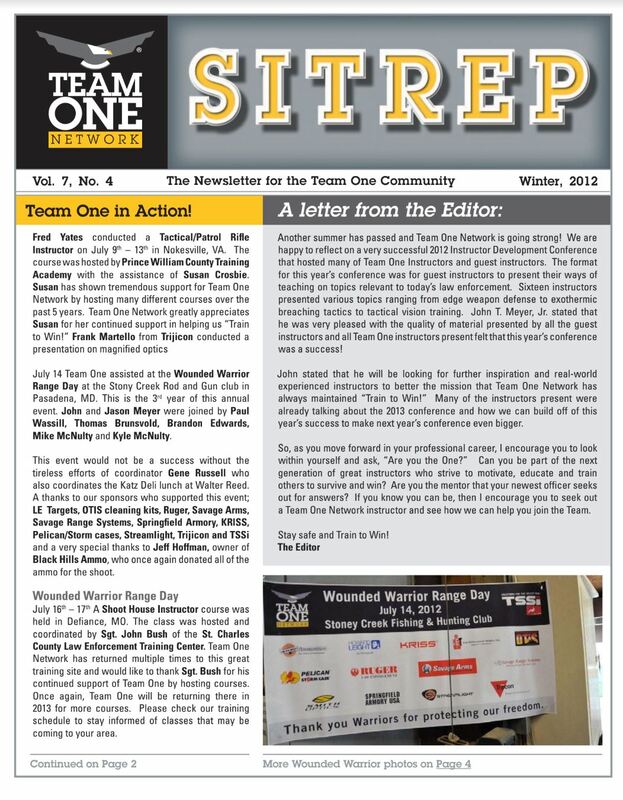 We publish a SITREP usually once per quarter to keep our Instructors, Sponsors, Host Agencies, and Training Participants up to date on the latest news from Team One Network. 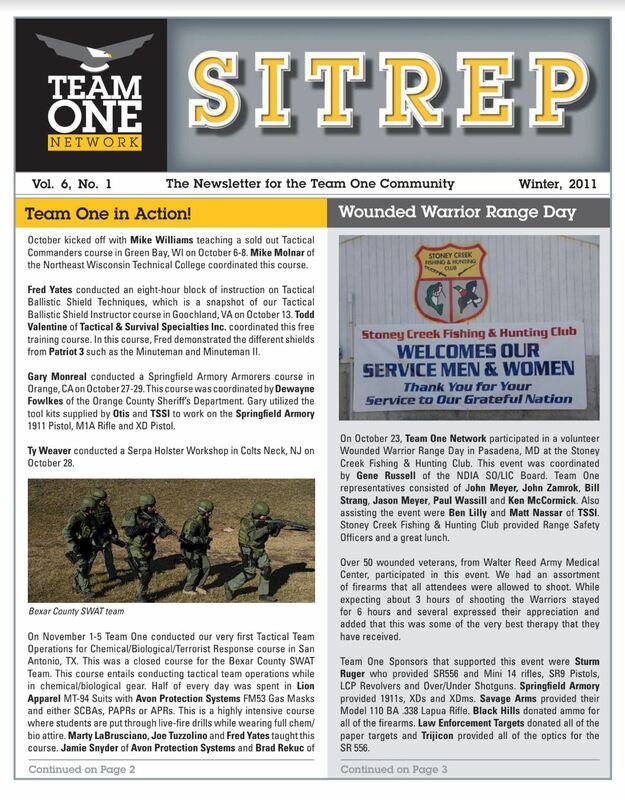 Click the image to view the SITREP in pdf.